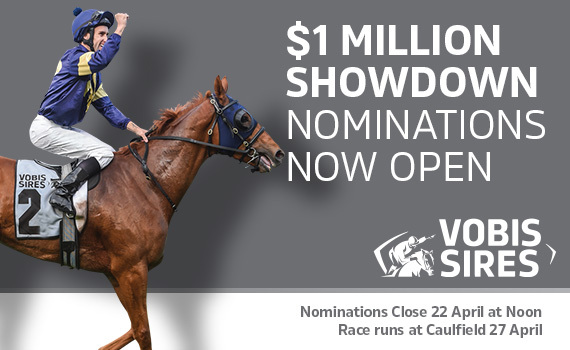 Nominations have now opened for the inaugural edition of The Showdown, the $1 million race which will take place at Caulfield on Saturday, 27 April. The 1200m event, to be run exclusively for the two-year-old progeny of VOBIS Sires-nominated stallions, will be run on Victorian Owners and Breeders’ Raceday and is named in honour of Victoria’s champion Australian stallion of the 1970s, Showdown. Showdown stood between 1966 and 1983 at Stockwell Stud in Diggers Rest, where he sired 46 stakes winners (13 at Group 1 level) including Golden Slipper, Blue Diamond, Oaks and Derby winners. He retired from stud duties in 1983, and was buried at Stockwell Stud two years later. A total of 842 VOBIS Gold two-year-olds, who were bred from 46 different sires, are now eligible to nominate for The Showdown, with 81 individual 2YOs from leading stallion Written Tycoon eligible, the most of any sire. Other leading sires with eligible progeny include Zoustar (61), Toronado (53), Reward for Effort (47), Brazen Beau (47) and Fighting Sun (43). The Showdown will become a permanent fixture on the Victorian racing calendar, and will help pave the way for further expansion of the VOBIS Sires program with a $500,000 three-year-old VOBIS Sires (1600m) race to commence in 2020. These two races and the lucrative VOBIS Gold Premier Race Series will, by 2020, be collectively worth at least $4.65 million a season. The entire VOBIS program, inclusive of bonuses and prizemoney, will offer more than $24 million. Racing Victoria’s Executive General Manager – Racing and Participant Wellbeing, Greg Carpenter, said: “The Showdown is the next exciting step in our VOBIS program, which provides a wonderful opportunity to reward owners and support the breeders who invest heavily in the Victorian racing industry. To be a part of The Showdown in 2020, be sure to nominate your eligible yearling to Super VOBIS. 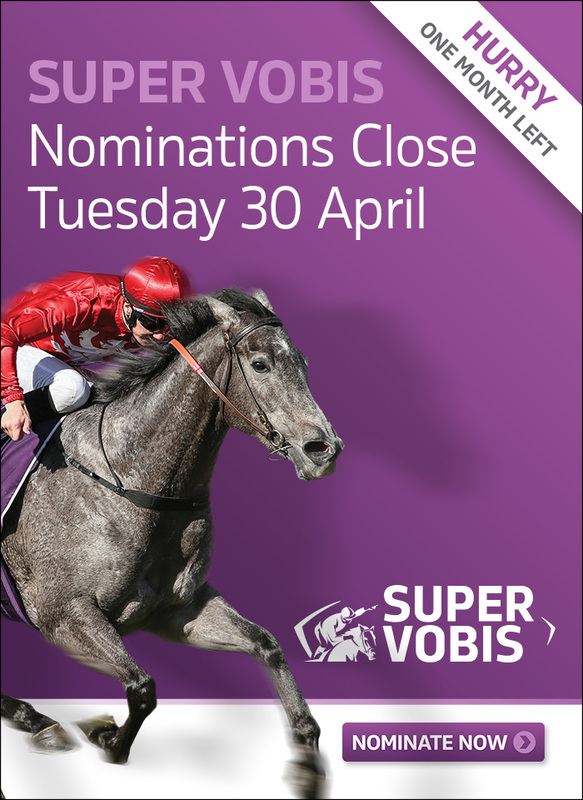 Nominations to Super VOBIS close on Tuesday 30 April, to nominate your horse or to find out more, please visit www.racingvictoria.com.au/super-vobis.